Looking to get a job or a freelancing project? Demonstrate your skill set. We all are aware of the importance that a portfolio has. It is the elegance and finesse with which you demonstrate your skill set that improves the chances of bagging a job. WordPress is one of the finest platforms that you can tap for the sake of showcasing a portfolio that can be powerful enough to turn the tides in your favor. No doubt, we all love our own money. 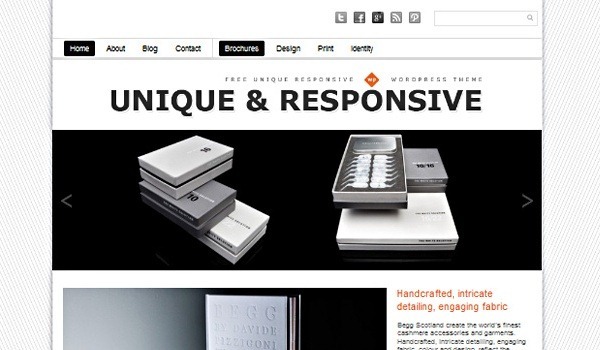 So, we will showcase 5 best free WordPress portfolio themes that are ideal for displaying your portfolio with perfection. Web designers, photographers, artists, web developers- regardless of which stream you are working in; this is the theme for you. It is RESPONSIVE; which is a key feature now. There are no useless clutter and so you can display your top clicks/designs and impress your clients. It is easy to maintain and comes with the following features. If you want a lot of your pictures/designs/notes stacked together on a single page such that the excerpt looks enticing enough to woo the clients, this is one of the best themes that you can get. It has its unique style and blend. When you are working on your portfolio, you should try to mix and mash different designs and notes to make an effective display. The overall look of the home page is going to win it for you. This is the ultimate FREE theme for photographers. Although, designers too can use it for showcasing their skills, the theme is primarily meant for photographers. 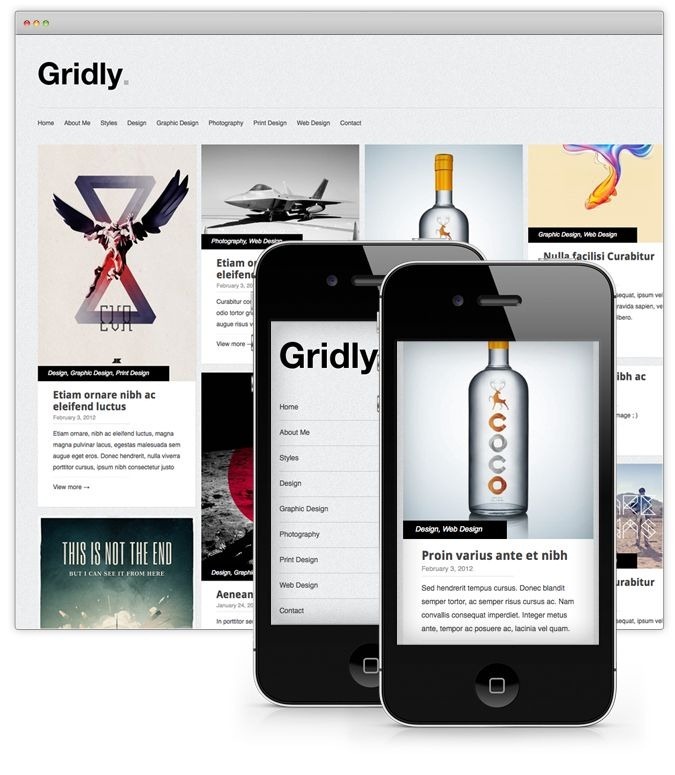 You also have a paid theme by Graph Paper Press who designed this theme that looks too stunning for words. 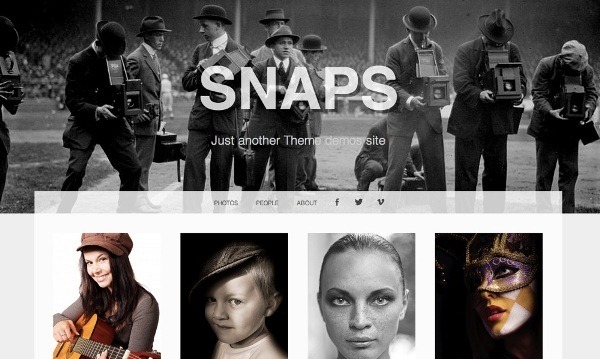 You can find a lot of photographers opting for this theme because it help you in stacking the different photographers side by side and the page comes to life with your perfect snaps. You can put all the links like categories, recent posts on the footer widget which will lead to your pictures occupying full space. 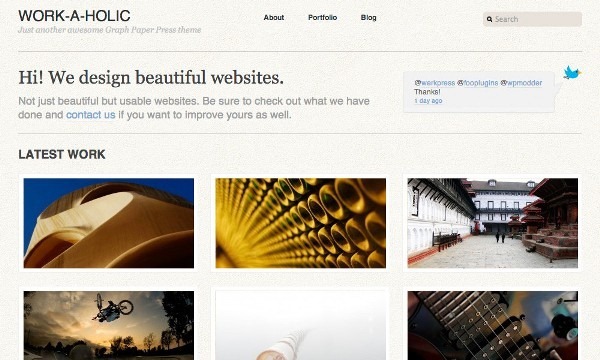 This free WordPress theme targets photographers, writers, web developers, business managers and all those who need a portfolio for their business. The design is responsive and minimal and has a two and three column with blog. 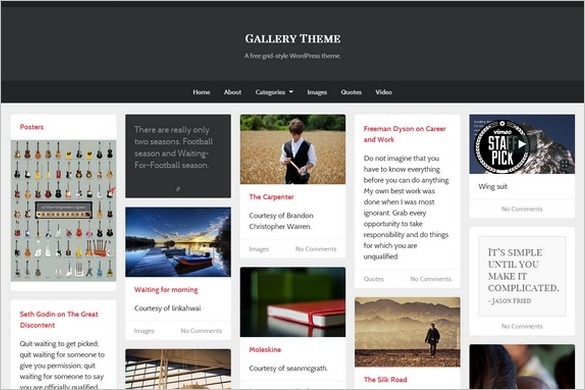 You can keep all your writing samples in the blog and the picture can be displayed on the home page. Although there is no home page slider, but you have an infinite scroll feature which means that there is an endless list of your posts. You can add a lot of widgets in the footer for this theme and it will help you in customizing it for your optimum use. It is ideal for showing the different pictures and can come in handy for blogging too. Feel free to choose any of this and bring your portfolio to life. Did we miss your favorite theme? Let us know via comments. Lovely portfolio themes that I will consider!